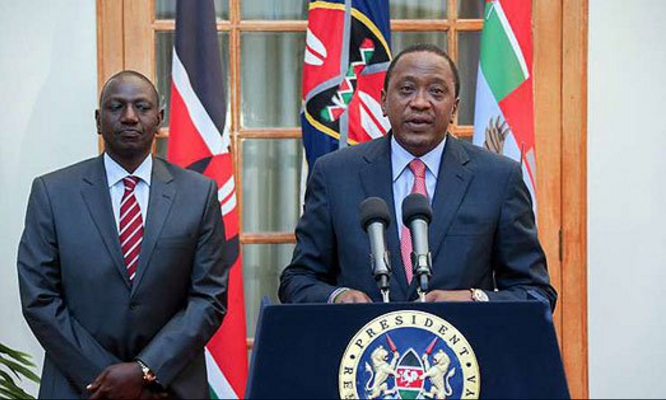 Yesterday president Uhuru Kenyatta reshuffled his cabinet and made a few changes terming them as necessary for effective service delivery. The president also expanded the number of cabinet secretaries from current 19 to 20. Uhuru's new cabinet only has 5 women, short of constitutional requirements which states that women must make up 33 percent of all positions. “Anti-corruption measures will be implemented through state departments which are headed by Principal Secretaries. A key initiative will be the complete overhaul of procurement departments,” said the President. Uhuru also announced that he will re organize the office of the president and will announce the changes in two weeks.